THREE months after taking strike action, Greyhound workers have overwhelmingly voted to end their bitter dispute with the waste and recycling company. The staff who decide to remain with the company, under changed terms and conditions, are expected to return to work as normal next Monday. It is understood that some 50 workers will leave the company, availing of an improved redundancy package. 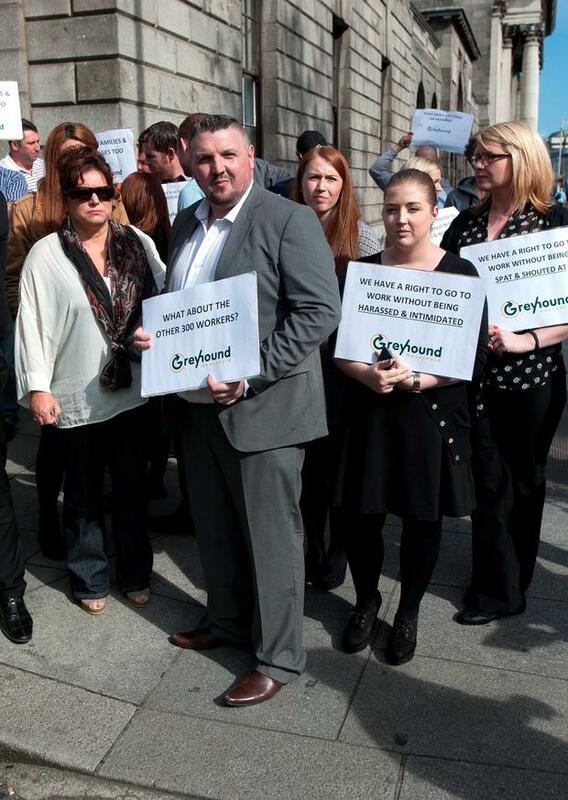 Strike action began at the West Dublin plant operated by Greyhound on June 17 when staff were asked to take pay cuts of up to 35pc. In a dispute that quickly turned bitter Greyhound employees accused the company of locking them out of their jobs. The company and the striking workers eventually sat down to hash out more favourable terms and conditions with the Labour Relations Commission in a bid to end the protest. Yesterday 68 workers voted and the changes were accepted by a majority of those who voted at SIPTU headquarters Liberty Hall. The new conditions will see pay cuts of between 15 and 20pc for some workers - but those who take this cut will be rewarded with 30pc of their potential redundancy. Staff who decide to opt for redundancy will receive four weeks wages for every year of service. The picket at the Clondalkin site will be lifted immediately.